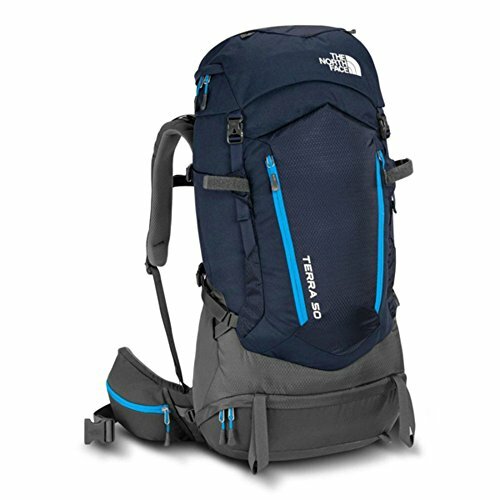 While North Face is most popularly known for its wide range of quality outdoor clothing, the company also produces an impressive collection of highly durable outdoor gear, including some of the best backpacks. North Face offers a wide range of top quality backpacks including daily commuting backpacks for students with padding laptop sleeve and young executives to rugged multi-day framed backpacks with padded shoulder straps for the outdoor adventurer. 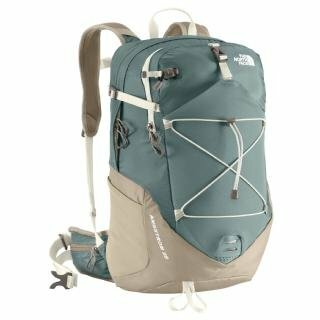 Although it is tough to select one backpack as the top choice as they have different functions and features, the three backpacks under review in this article have received raving reviews and are some of the most popular among hikers and lovers of the great outdoors for you to choose the best pack for your needs. 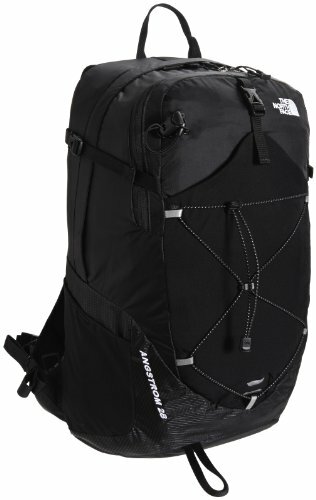 North Face Angstrom 28 is an incredibly dynamic bag perfect as a day pack for the traveler or hiker. This everyday backpack is an excellent choice for the frequent traveler that also loves hiking on the weekends or the student or technician who requires a backpack for daily use with a great durability. 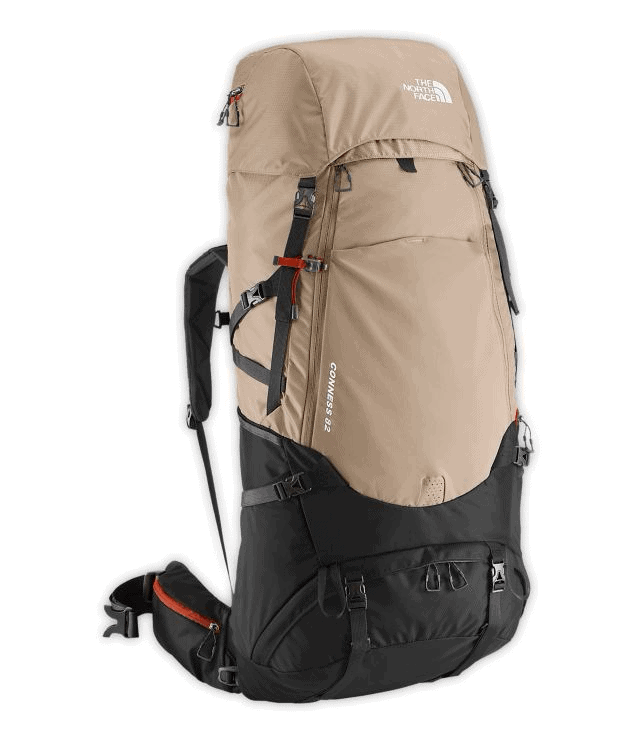 While the Angstrom 28 pack has no frames, its many features qualify it as a technical backpack. There are two models of the Angstrom 28, including the unisex and women’s. While the two models are practically identical and weight 2lbs, their differences lie in the hip and torso adjustments which for women are a little bit smaller. A 16” – 20” torso and 26” – 43” hips adjustment is allowed in the unisex model while 14” – 19” torso and 25” – 35” hips are allowed in the women’s smaller model, although both backpacks are 20.5” x 13” x 8.5”. 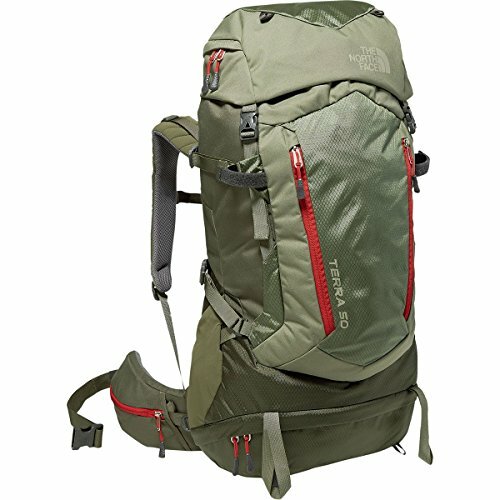 The Angstrom 28 pack offers a modest 28L volume, which is where it got the 28 in its name. The bag is built from a highly durable 210D ripstop nylon and 70D mini woven ripstop nylon. A sturdy hip belt combined with a molded padding provides excellent lumbar support. To prevent the wearer from becoming too sweaty or hot, the Angstrom travel backpack features mesh straps and hip belt which provide adequate ventilation despite the softness of the material and the high level of support it provides. In addition to a hydration bladder in the form of a sleeve, the Angstrom offers an abundance of pockets and a compartment for storage. Both models provide an easy to reach and secure side pockets to keep your water bottle if you fancy carrying your water in a bottle. There is a large mesh storage pocket at the front to keep large gear such as a jacket etc. There’s also a stretchy cord at the front of the backpack where you can hang clothing, attach other gears such as a compass or GPS or slightly compress the backpack. This bag shouldn’t be used to carry heavy loads because the hiking backpack lacks a frame and has limited storage space and to prevent injuring your back, but it still gonna help you hold your important objects. 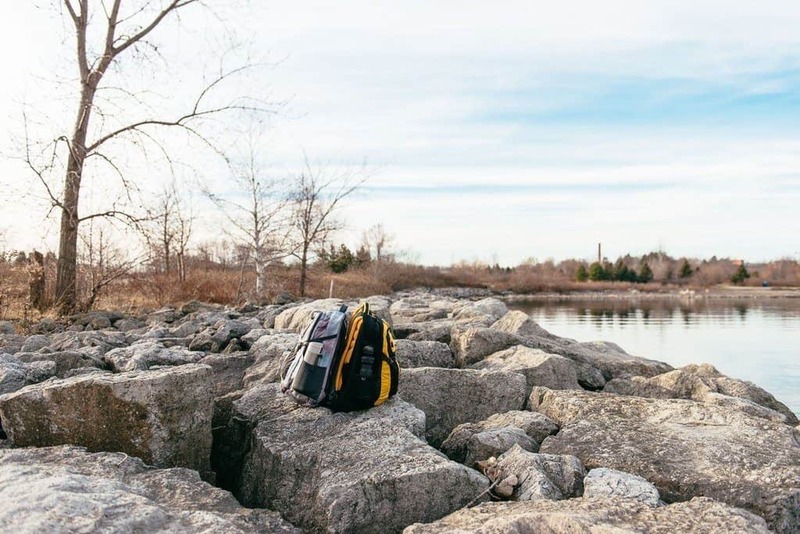 Besides that, the Angstrom 28 is an excellent bag for anybody who needs a high-quality bag that can withstand every use and weekend outdoor trips such as hiking, camping, kayaking, among others. At $119, the Angstrom is a high-quality backpack that’s worth more than its dollar value. The Angstrom 28 hiking backpack comes with a rain cover to protect your gear from waterlogging during inclement weather. It also features bright colors to keep you noticeable even in foggy weather. This backpack is the ideal overnight bag for the avid hiker who wants to enjoy an overnight hike in the woods with an everyday backpack. Not only it has great durability, but it’s also minimalist and highly functional. The large stretch woven front helps protect it against heavy brush, and its multiple pockets make organization easy and seamless. You can also use its hydration sleeve if water bottles are not your thing. The icing on the cake is the lifetime warranty that comes with this modestly-priced backpack. The Angstrom travel backpack is easy to wear and features good zipper pull loops. The reflective cords keep you on the radar during bad weather. Limited space. The compartments are zipped, and the hip belt pockets have a very limited capacity. While it has a rain cover, it’s not suitable for winter use. The Terra 50 is an excellent choice if you need a multi-purpose outdoor backpack that is ideal for multi-day backpacking trips, camping, and other outdoor activities. The backpack is a midsized unisex edition offered in two sizes including small-medium and large/extra-large sizes. With a volume of 51L, the small/medium weighs 3lbs 130z. Torso and hip adjustments are 16” – 19” and 32” – 35” respectively while dimensions are 21.8” x 11.8” x 11.8”. On the other hand, the large/extra-large model provides 52L of volume, weighs 3lbs 15 oz. and the dimensions are 27.6” x 11.8” x 11.8”. Both types of Terra 50 feature one stay and internal aluminum frames, making it possible to store up to 45lbs of gear in the bag. While the bag can accommodate more gear, this can exert excessive strain on the structure and also injure your back. The bag is highly durable and long-lasting if you don’t exceed the maximum weight limit. The Terra 50 is built with highly impressive materials such as 1200 denier and 600 denier polyester and 420 denier ripstop nylon. It also features an inbuilt vertical channel to keep your back ventilated while a firm, moldable pack support helps provide comfort for your back. You can store and organize your gear in the seven pockets throughout the bag. You will find two of the pockets on the hip belt to facilitate convenient access to your phone, maps, snacks, and others. The backpack also features an inbuilt pocket to store your sleeping bag. However, there is no attachment designated for a tent. 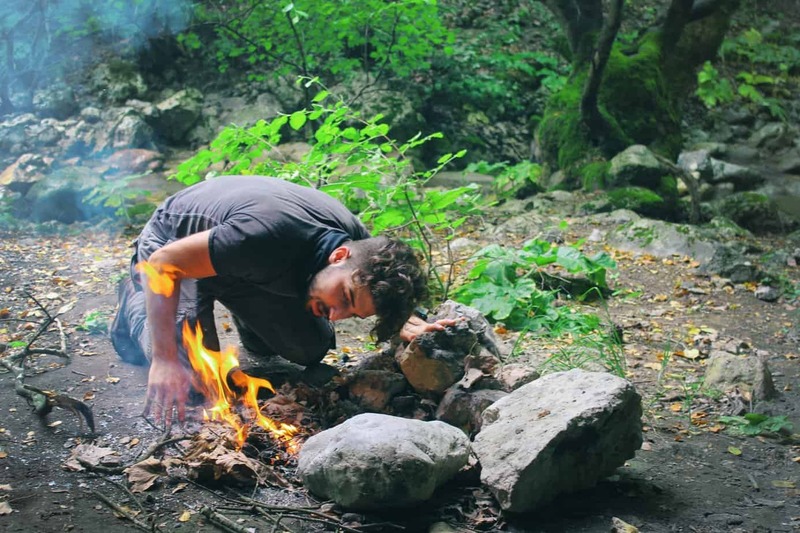 So, you might have to experiment a little to find out where to tent. But this won’t be a problem for people who love hammock or bivvy camping. The Terra 50 offers excellent storage size and versatility that caters to all the needs of the weekend backpacker that loves outdoor camping, hiking, and others. It has enough room to store enough gear to last you a few days based on your regular load and is sturdy enough to support almost 50L of load. While the Terra 50 is offered as unisex or men’s, it doesn’t fit women as it does on men. If you find this bag not suitable to your body, then go for the Terra 65 which is specially made to fit the female anatomy. The Terra 50 is an amazingly lightweight bag, with a slim design that makes it perfect for short trips and hiking. It makes towing your sleeping bag a breeze with a separate compartment at the base of the bag. The bag also features padded anatomically correct shoulder straps that help distribute the weight evenly for increased comfort and zero chaffing. Another plus for the Terra 50 are the snug-fitting hip belts which help spread the weight, so you don’t have to carry the load with only your shoulders. The air mesh design and the vertical air channels make you as sweat-free as the conditions permit while keeping you comfortable. The slim designs make the bag opening very narrow, making it impossible to access the bag from any other point apart from the top. This means you have to remove things from the top if you need an item at the side or other parts of the bag. The front pockets are not extensible, so anything stored in the front pocket reduces the overall space in the main compartment. Another minus for this backpack is that it doesn’t have a rain cover, although it is rain-resistant. If you expect to encounter rain on your trip, it’s better to buy rain covers. Also, the bag is missing a tent attachment, so you have to fumble with the lashing points to attack your tent. 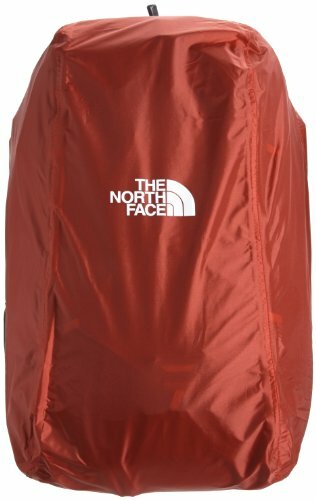 The third on this list is The North Face Conness 82. The Conness 82 is the perfect outdoor traveling backpack if you are a serious outdoor traveler who loves going on long camping/backpacking trips and needs to pack all the gear you need for the whole time you will spend camping, hiking, kayaking and so on. At 82L, the Conness 82 is one of the larger capacity technical backpacks from The North Face. In the tradition of The North Face, the Conness 82 comes in small/medium and large/extra-large sizes. The S/M sizes weigh 51lbs 130z while the L/XL sizes weigh 51lbs 15oz. Both backpacks have modest dimensions at 28.5” x 15.5” x 10”, despite their huge storage space. The design of the Conness 82 is suited to the male anatomy, although women can also use it if they can find a way around the torso adjustability. You can adjust all the straps on the bag, and the bag features the Opti-Fit X Technology which allows you to adjust the shoulder harness vertically to enable different types of people to carry the bag comfortably. This innovation also provides increased ventilation for the Conness 82. The North Face uses its X Radial frame, a strong but exceptionally light frame with excellent maneuverability when moving on treacherous ground. The bag offers multiple interior pockets to make organization a breeze. You also have zippered pockets in the hip belt where you can store small tools, gear or food which you want to have within your reach. Plus, you can remove the top lid pocket and repurpose it as a small bag to run errands out of the campsite or to reduce weight. The Conness 82 has an inbuilt compartment to store your sleeping bag as well as straps where you can add tent poles or trekking poles. The bag is big enough to accommodate a one or two-person tent, and there will still be plenty of space to store more gear. The bag has secure side pockets where you can keep water bottles as well as a hydration sleeve if you prefer a bladder system. The Conness 82 is the best option if you want to go on multiple day backpacking trips that can last up to a week or more. However, its more suited for men as the torso adjustability doesn’t work well with the torso and hips of women and youth. The Conness 82 is a huge bag but extremely stable even when loaded to the maximum. It features an excellent hip belt design which causes zero irritation. The North Face’s proprietary Opt-Fit design offers a customized fit which can be adjusted easily for maximum comfort, and the X-Radial frame design provides excellent support and maneuverability while on the go. The bag also provides snug fitting water bottle pockets while the front access zippers make retrieving stuff fast and efficient. During use, the strap creeps unnecessarily. The buckles are too light for a bag of this size and price point. The Conness 82 doesn’t come with a pack cover, and the slim design makes it difficult to stand upright except when it’s leaning up on something. The outdoor activity backpack you choose depends on the type of trip you plan to go for. If you are going for a one-day or overnight hike in the woods near your home, the Angstrom 28 has enough room for all your gear, foods, and every other item you need to have a great trip. The Terra 50 offers enough storage space to handle a multi-day outdoor adventure. At 50L, this backpack offers ample space for all your food and gear while providing adequate comfort and maneuverability. If you are planning an extended outdoor trip, the Conness 82 is the best backpack for all your camping, kayaking, and hiking needs. This bag provides storage, comfort, versatility, and support. Your choice depends on the length of your trip and the supplies you need to carry on your adventures.